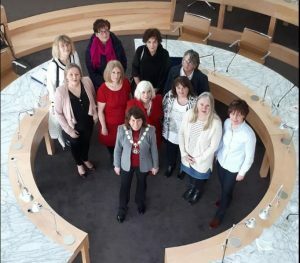 Roscommon Women’s Manifesto group was founded in 2017 by Roscommon Women’s Network with support by the Longford Manifesto Group who saw the need in local communities for women to become more politically aware. Since its foundation its moved quickly off the mark by presenting at a Roscommon County Council meeting gaining the support of the County Councillors and CEO. Now, in its second year, we are happy to co-host the Voices & Views from the Campaign Trail seminar at LWL and again with Longford Women’s Manifesto Group are hosting a seminar on 15th November “Smashing the Status Quo” in the Abbey Hotel in Roscommon Town. The aim of RWMG is to help women become more politically aware and to know the platform/process of how to make change.